In the fast-paced world of the wrestling industry, it is extremely difficult to be actually successful and create a name for yourself. Some wrestlers go on to achieve exactly that and become superstars while some fail to make it to that point and are released by the company. It’s an ever-challenging industry, where one is required to survive and be successful at the same time. With the WWE being the biggest wrestling promotion in the industry, several wrestlers are signed by the company and similarly several are released as well. The most famous example would be that of the superstar, Kenny Omega who was on the books of WWE back in 2005 but was released by the company. He went on to become one of the biggest names in the wrestling industry and has been reported to have rejected a huge offer by WWE to join the company. London had a glittering career before he joined the WWE in 2003. He was an absolute fan-favorite in the Ring of Honor with his high-risk offensive moves and even won the ECWA Super 8 Tournament. Not that he had a bad career in the WWE, but the move in 2003 which seemed the perfect way to advance his career did not turn out to be as promising as it was expected to be. In the WWE, he teamed up with Brian Kendrick after the retirement of his former partner Billy Kidman. The two won the Tag Team Championship and held it to a still unbroken record of 331 days. Prior to tagging up with Kendrick, London also competed in the cruiserweight division and won the WWE Cruiserweight Championship. The two were split after Kendrick was traded to SmackDown from WWE RAW while London was released by the company. London has gone on to impress in the independent circuit mostly with Pro Wrestling Guerilla and could still do pretty well in the WWE if he is given another chance. Not many wrestling fans know that, but the Ring of Honor’s Colt Cabana was actually signed with the WWE as Scotty Goldman. However, despite being signed with the company for two years, he was in the main roster for only six months. And from those six months, he did not make a televised appearance for four months. He was however given his own WWE web series, but even that did not take off. He has since then impressed in the independent circuit and is a former one-time JCW World Heavyweight Champion, two-time NWA World Heavyweight Champion, and a DDT Ironman Heavymetalweight Champion. Probably the unluckiest in this entire list, but definitely not the least talented. Real name Marc Copani, he was hired by the WWE to portray the role of Muhammad Hassan during a very politically sensitive time for the country. He was so successful in the WWE, that the company had to completely kill him off in order to ease the mind the television executives who were uncomfortable with his storyline and character. Had Hassan not been introduced when the company was in prime time, he may have cemented his future career with the effective delivery of that gimmick. An absolute hit in the TNA as Awesome Kong, she was immensely hyped upon her arrival in the WWE. Repackaged as a crazed Kharma, vignettes aired for weeks ahead of her big debut. When she finally appeared, she began attacking various divas at random and was unstoppable. However, before she could wrestle a single match, she discovered that she was pregnant and required a leave of absence from the company. To date, she has only appeared for the WWE in one match - the Royal Rumble 2013. She has already made a comeback in the TNA and will be catching the interest of Triple H who had previously signed her and should be looking to sign her again if the opportunity arises. A wrestler who was discovered and developed completely through the WWE’s system, John Morrison was top drawer superstar in his own right. He stepped into the ring for the first time as a contestant on the third season of Tough Enough in 2002 and spent nine years with the company, winning numerous titles in both singles and tag team championships. In 2011, however, his contract was not renewed after he felt a neck injury at that time could have hampered his career. He has since then made a really impressive comeback with the Lucha Underground and even wrestled for Impact Wrestling in recent times. 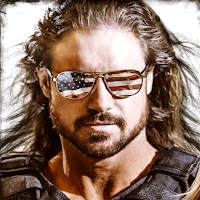 He is currently signed to Impact Wrestling as Johnny Impact and is the Impact World Champion in his first reign.